Rising Reception had another visitor for their ‘people who help us’ topic. This time a vet from the Cape Veterinary Clinic came and Mrs Pain also brought her lovely pet Collie Cora in for the vet to examine. 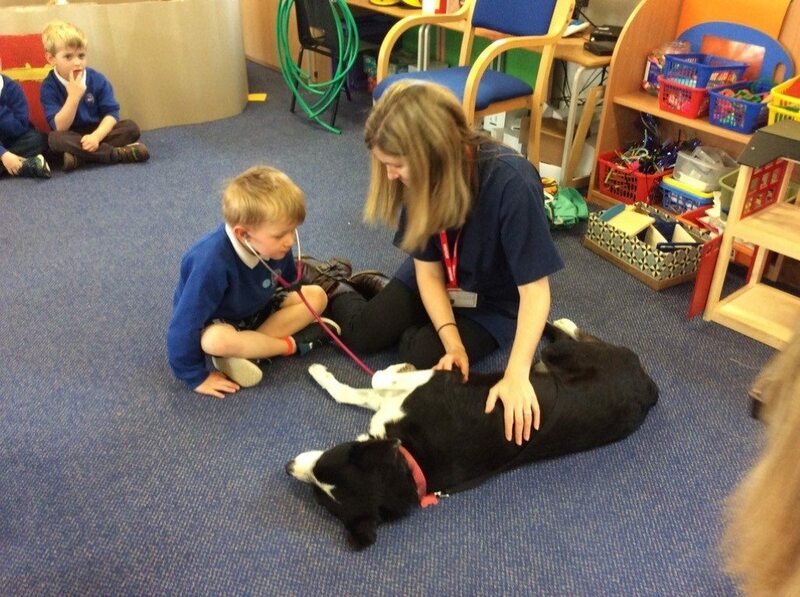 The children were very excited to hear Cora’s heartbeat through the stethoscope!